Oneworld member Air Berlin, which has not made a profit in years, is to reduce its workforce by 900 (10%) in a cost-cutting drive. If you happen to have spare US$403.9 Airbus will sell you an A380 but that price depends on design weights, engine choice and level of selected customisation. And also the number of copies you want. The list prices for all models have increased 3.6% over 2012. “Our new pricing reaffirms the value of our modern, fuel-efficient aircraft”, said John Leahy, Airbus Chief Operating Officer, Customers. “Our products consistently help our customers cut their operating costs and reduce their environmental footprint”. Here follows the new official figures for the models on offer. The A340 has been dropped. You get full fuel tanks as well. All in US dollars. 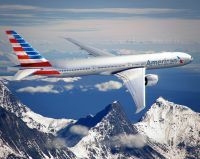 Last week American Airlines unveiled what it calls “a fresh new look” for a company still trading in Chapter 11, but clearly ambitious for the future. 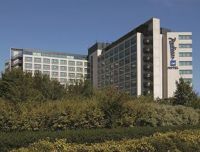 The Rezidor Hotel Group has opened the Park Inn by Radisson, Amsterdam Airport Schiphol. The 150-room flagship property brings the mid-market brand Park Inn to the Netherlands and strengthens Rezidor’s position as one of Europe’s leading airport hotel operators. It is present at some of the busiest airports in Europe including Copenhagen, Frankfurt, Istanbul, London, Moscow, Nice, Oslo, Paris, Stockholm, Zurich and now Amsterdam – a dense network generating significant brand awareness and profitable growth. 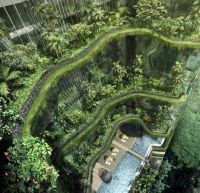 The 367-room Parkroyal on Pickering opened last week in Singapore with its sustainable, hotel-in-a-garden design. The 16-storey property is strategically situated at the gateway of Singapore’s Central Business District, between Hong Lim Park and bustling Chinatown. Located minutes away from entertainment and waterfront dining areas along Singapore River and vibrant nightspots at Clarke Quay and Boat Quay, it is within close proximity to various modes of public transport and offers a convenient base for guests to explore the city. Wanderforth, the luxury travel provider, best known for leisure offerings in the USA, Middle East, Indian Ocean and Africa has come up with a really excellent wall chart setting out most clearly the new ATOL requirements. Air New Zealand, easyJet, Malaysia Airlines, Singapore Airlines, United Airlines and Virgin Atlantic will be amongst the 30 air carriers represented at next month’s Business Travel Show once again hosted at Earls Court in West London. Star Alliance will have a stand. Taking place 5-6 February 2013 the show and conference is expected to attract more than 6,000 corporate travel buyers, managers and bookers, and 200 suppliers. The show provides a high quality, free to attend conference programme designed to meet the knowledge requirements of the entire business travel buying and booking community with the simple aim of enabling them to buy and manage travel better. More than 50 thought-provoking sessions are booked with travel experts offering decades of buying experience providing in-depth and practical information to buyers, bookers and managers. 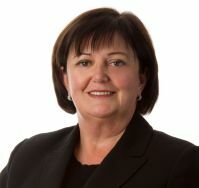 Air New Zealand has come up with a new title, Chief People Officer Lorraine Murphy, taking on this task from 4 March. Ms Murphy is currently based in the United States where she was most recently Vice President Human Resources – International for Campbell Soup Company, which has more than 20,000 employees globally and sales in excess of US$8bn annually. Her role provided leadership across key geographic regions, such as Asia Pacific, Europe and Latin America. 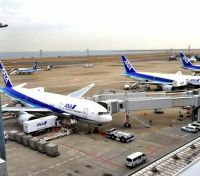 Last week the FAA, responsible for US certification, grounded all Boeing 787 Dreamliners under its patronage, followed by national authorities worldwide. A series of incidents, mostly concerning the lithium-ion batteries fitted to the aircraft, made this move necessary. The batteries are lighter and more powerful than the previous generation but potentially more volatile. They are also fitted to the Airbus A350, but from a different supplier. Since the first 747, and before, Seattle has just been an assembly plant, parts sourced from all over world. A Rolls-Royce 747 is probably one third British. Flybe and its customers have lost out following a decision by the CAA regarding Gatwick Airport’s (GAL) aircraft charges. 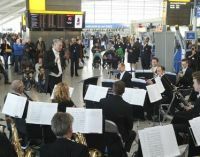 Heathrow is partnering with the London Philharmonic Orchestra to give passengers a memorable experience before travelling during 2013. The orchestra will perform in the terminal departure areas giving a unique send-off throughout the year. As well as live performances, Street Pianos have been placed around the airside areas for travellers to play music of their choice as part of the ‘Play me, I’m Yours’ music scheme. Early last Friday evening (18 January), with its Manchester runways still open in spite of the appalling weather conditions, Manchester Airports Group plc (MAG) announced it had won the auction for Stansted Airport for £1.5bn. 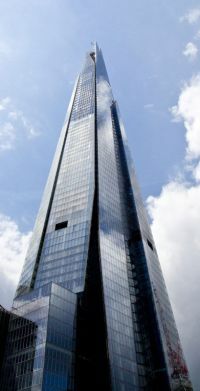 Australian Industry Funds will purchase a 35% stake in MAG for £1bn to help fund the takeover with £500m coming from the Group’s commercial operations. Due diligence regarding the sale and consequential changes to the ownership structure are due to be completed in February 2013. And watch to the very end! 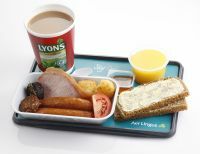 A new Sky Deli pre-order meal service has been launched by Aer Lingus. This follows feedback from customers indicating they would like to place meal orders in advance of travel. 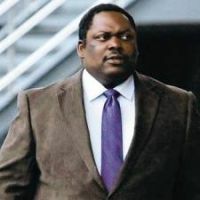 Convicted airline fraudster Victor Bassey is facing deportation after officials obtained proof of his Nigerian nationality. Mr Bassey was jailed for two years in 2010 for setting up fake North-East airline Excelsis, and is being held by the UK Border Agency after being released from prison. He refused to name his home country. From Saturday 30 March, SATA International will resume direct flights from the UK to the Azores. SATA International flights will be operating every Saturday until 26 October, with early afternoon departures from Gatwick to Ponta Delgada in São Miguel, the largest of the Azorean Islands. The parliamentary review of Britain’s future airport requirements, the Davies Commission, continues to make headlines, although the recommendations of the six-person panel are not due until 2015. 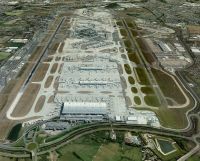 2012 was a record year for Heathrow, the world’s busiest twin-runway airport, almost 70m passengers passing through, and an increase of 0.9% compared with 2011. Traffic last year was characterised by higher load factors – at 75.6%, versus 75.2% in 2011 and a record. There were also more seats per aircraft (197.4 versus 194.8 in 2011). The UK-based global air traffic provider NATS has launched a dedicated US website, to promote its expertise in that country. 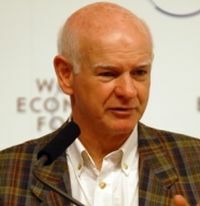 Once called National Air Traffic Services it is owned by the British Government (51%), a group of senior UK airlines (42%), with the staff holding 4% and BAA (Heathrow) 3%. An Augusta 109 twin engined helicopter crashed near Vauxhall Bridge, London, on the River Thames, last Wednesday 16 January, in foggy conditions. The pilot and a person on the ground were killed. The helicopter was thought to be making for the Battersea Heliport due to poor weather conditions encountered between Redhill Airport, the take off point, and the Elstree Aerodrome destination. 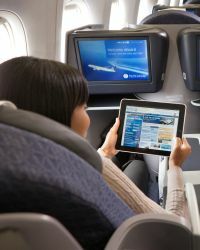 United Airlines has introduced onboard satellite-based wi-fi connectivity on the first of its international wide-bodied aircraft, becoming the first US-based international carrier to offer customers the ability to stay connected while travelling on long haul overseas routes.